Let's get one thing clear before we go ANY further, The plural of "hypothesis" (-is on the end) is "hypotheses" (changes to -es on the end). One hypothesis, two hypotheses. Psychologists try to be scientific which means their researh follows the hypothetico-deductive model. An alternative hypothesis predicts what the researchers expect (or hope) will happen. 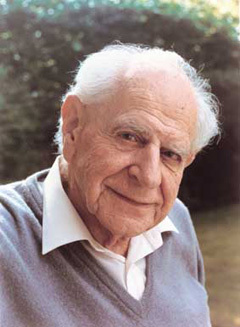 Sir Karl Popper argued that true science isn't about proving things: it's about disproving things. True scientists should set out bold theories then try to tear them down or falsify them. 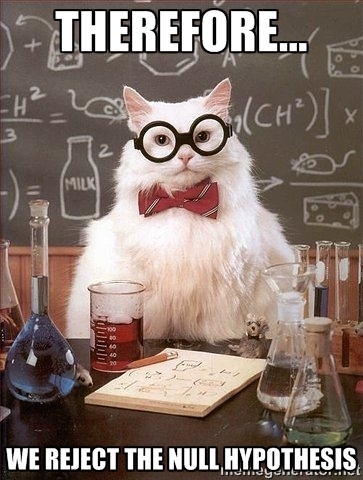 In order to be truly scientific, every theory has to be refutable. That means, there has to be some way you could prove it wrong. For example, if I believe there are fairies in my garden, is that a scientific hypothesis? It depends whether I admit it can be disproved or not. If I believe in invisible, untouchable, undetectable fairies, then there's no way anyone could disprove my belief, so it's just a belief and not a hypothesis at all. Believing in space aliens might be different. Even though we can't do it yet, we might one day be able to travel to other planets. If we travelled to every planet but never discovered any sign of alien life in the universe, then we would have disproved the existence of aliens. Therefore, believing in aliens is a scientific hypothesis because it can be disproved (even though we haven't disproved it yet and might never manage to disprove it). I'll leave it up to philosophy students to work out whether believing in God is a scientific hypothesis. If Psychologists want to be scientific, as well as an alternative hypothesis, they will need to frame a null hypothesis. The null hypothesis predicts that the research will not find what is being looked for. According to Popper, scientists should not try to prove their alternative hypothesis: they should try to disprove their null hypothesis. If the null hypothesis is disproved, then the theory has survived intact. You never get to prove an alternative hypothesis once and for all, because the next test you do could bring it crashing down. You should be realising about now "So THAT'S why they call it an 'alternative' hypothesis!" 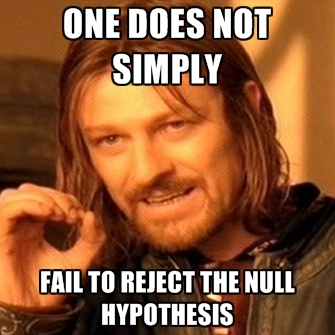 Yes, it's the alternative to the null hypothesis. The null is the REAL hypothesis being tested. Here's an example, where do odd socks go? That's my research question. My favourite hypothesis is that they are stolen by aliens who use odd socks to power their space ship warp drives. But if that's my hypothesis, I also need a null hypothesis which says that my socks are not stolen by aliens. 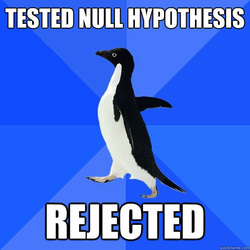 As a scientist, I should try to prove the null hypothesis. If the null hypothesis is not proven, my alternative hypothesis about aliens may be true. Operationalising means phrasing things to make it clear how your variables are manipulated or measured. An operationalised hypothesis tells the reader how the main concepts were put into effect. It should make it clear how quantitative data is collected. Sloppy or vague research looks at variables like "memory" or "intelligence" and compares cariables like "age" or "role-models". Not "intelligence" but "score on a IQ test"
Not "memory" but "nimber of items recalled"
Not "age" but "under-16s" and "over-45s"
The boldest type of hypothesis doesn't just predict that something will happen, it predicts the direction of the results will take. This is called a 1-tailed hypothesis. Predicting the direction the results will take could involve predicting that something will increase or decrease, or that one group will get a higher score than another group. 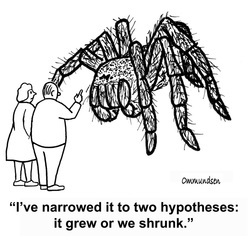 A 1-tailed hypothesis involves "sticking your neck out" since you're more likely to be wrong if you try to predict the direction the results will take. When you look at inferential statistical tests, it will make a difference if your hypothesis was 1-tailed because it will be slightly harder to prove that your results are statistically significant. Why do psychologists frame 1-tailed hypotheses? Because often there is a huge amount of previous research (or common sense) that makes them pretty confident about the direction of the results. For example, the Multi Store Model of memory tells us to expect short term memory to have a short duration, so you can afford to stck your neck out and predict that people who delay for 15 seconds will forget more words from a list than people who only delay for 5 seconds. A more cautious hypothesis doesn't predict the ditection the results will take; it just predicts that there will be some sort of change. This is a 2-tailed hypothesis. This usually merans just predicting that there will be a change (without saying what that change will be) or that there wil be a difference between two groups (without saying which group will do best or score higher). A 2-tailed hypothesis involves "playing it safe" since whaever direction the results take, your prediction will be right; only if there's no change or no difference at all will your hypothesis be wrong.. When you look at inferential statistical tests, it will make a difference if your hypothesis was 2-tailed because it will be slightly easier to prove that your results are statistically significant. Why do psychologists frame 2-tailed hypotheses? Because if you are researching a brand new topic, you might not have a clue what the results will be like. Researchers investigating new areas where there isn't a lot of background research often start off with a 2-tailed hypothesis, then refine it to a 1-tailed hypothesis once the results start to take shape. So for a directional (1-tailed) hypothesis, you must predict that one of the conditions will show more or less of something than the other condition. For example, Baddeley's study predicted that there would be lower scores in a memory test when people who had learned semantically-similar words were compared to people who had learned sematically-dissimilar words. This includes both conditions of the IV (semantically-similar vs semantically-different), the operationalised DV (score on a memory test) and the direction (lower scores for semantically-similar words). A non-directional (2-tailed) hypothesis only has to predict there will be a difference in the scores between two groups - not which group will do best. For example, Schmolck et al. (2002) weren't sure whether H.M. would do better or worse at semantic menmory tests than the other MTL patients. The hypothesis could have been that there would be a significant difference between the scores on memory tests between H.M. and the other MTL patients... not specifying whether this difference would be higher or lower. This includes both conditions of the IV (H.M. vs MTL patients), the operationalised DV (score on a memory test) but no direction (just "there will be a significant difference"). When you study inferential statistics, you will see why it's important to say "a significant difference" rather than just "a difference"
A null hypothesis looks exactly like a 2-tailed hypothesis except that, instead of saying "there will be a significant difference", it reads "there will be NO significant difference". The crucial word in any experimental hypothesis is DIFFERENCE. Experiments are "tests of difference". They compare one condition to another and look for a difference in the DV. So for a directional (1-tailed) hypothesis, you must predict that there will be either a positive correlation between the IVs (they both increase or decrease together) or a negative correlation (one increases while the other decreases). For example, many studies into memory loss show that scores in memory tests go down as age increases after age 25: the older you get, the worse you score. This includes both IVs (scores on memory tests in relation to age after 25) and the direction (scores go down as age goes up). You can be cautious and frame a 2-tailed correlational hypothesis: you're predicting a correlation, but you're not guessing whether it will be positivec or negative. A null hypothesis looks exactly like a 2-tailed hypothesis except that, instead of saying "there will be a significant correlation", it reads "there will be NO significant correlation". Remember, DIFFERENCE is the word you use with experimental hypotheses. Experiments are "tests of difference". Don't use the word "difference" in a correlational hypothesis; write "correlation" or "relationship"
Hypotheses are particularly important in the experimental method and the correlational method. Researchers carrying out pure observations and self reports will often settle for an aim or research question. Psychologists aren't always consistent in how they use terms for hypotheses. I tend to use 1- and 2- tailed but some writers prefer directional and non-directional. The Edexcel Specification uses both and students must be familiar with both. Bandura doesn't set out his null hypotheses (but you should!). Nonetheless, we can work them out. In the case of Baddeley (1966b), you can see a series of hypotheses being tested and reformulated, because Baddeley carried out 3 sets of experiments with the one students study for the exam being the third. Baddeley's 1st experiment tests the 1-tailed hypothesis that participants learning lists of semantically-similar words would recall fewer of them (in order) compared to participants learning a list of acoustically-similar words. However, Baddeley's results did not find this and he had to accept his null hypothesis. Baddeley tried again with his 2nd experiment, where he used his interference task. This time his hypothesis was that the groups whose STM was "blocked" by an interference task would score lower than the groups with no interference. This time the results supported his hypothesis. Baddeley went on to carry out his 3rd experiment - the one in this course - incorporating his new interference task to "block" STM with all the groups. This time the results supported his theory of semantic LTM and he was able to refute his null hypothesis. A 8-mark “apply” question awards 4 marks for describing the use of hypotheses (AO1) and 4 marks for applying the Cognitive Approach to this (AO2). You need a conclusion to get a mark in the top band (7-8 marks). "Hypotheses" turn up in the Specification for the Cognitive Approach but you need to know how hypotheses are used in all the Approaches. The Cognitive approach uses lab experiments which make use of hypotheses to ensure their internal validity. Hypotheses can be directional (1-tailed) or non-directional (2-tailed); directional hypotheses predict a more specific result than non-directional ones. Cognitive researchers must also frame a null hypothesis which states they will not find the result they are looking for. If the results of an experiment reject the null hypothesis, this makes the experimental hypothesis more likely to be true. An example of a hypothesis in the Cognitive Approach would be Schmolck et al. who hypothesised that patients with MTL damage would make more mistakes than healthy Controls in a test of semantic memory and patients with MTL+ damage would make the most mistakes of all. This is a 1-tailed hypothesis because Schmolck is predicting that one group will get lower scores than the others. Schmolck is confident to do this because of the extensive research already done into patients like H.M..
Schmolck would have had a null hypothesis saying that there would be no significant difference in the scores of the different groups. By rejecting the null hypothesis, Schmolck's team add more support to the theory of semantic memory and its link to certain areas of the brain like the temporal cortex. The Cognitive Approach tests hypotheses to build support for theories of memory and brain structure. This ties in with Karl Popper's idea that scientists should try to falsify their theories by trying to prove the null hypothesis to be true. 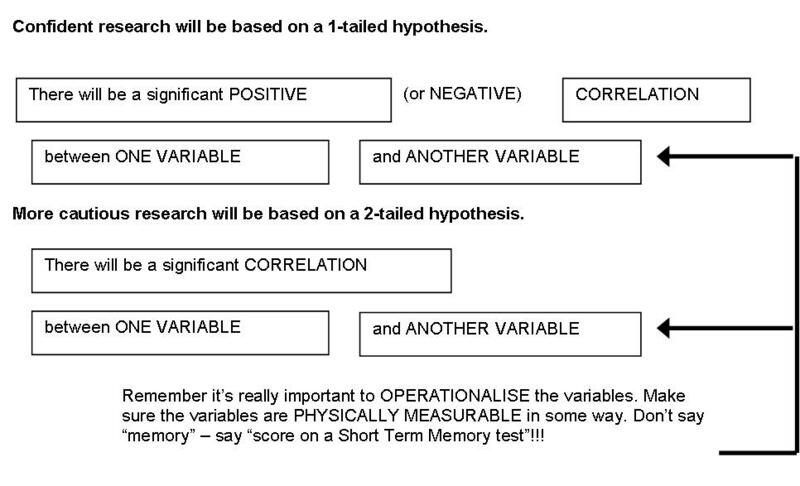 Notice that for a 8-mark answer you don’t have to include everything about hypotheses. 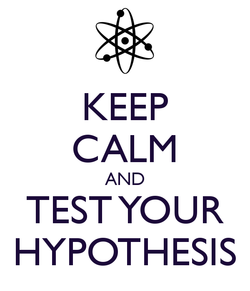 I haven’t mentioned alternative hypotheses or the difference between experimental and correlational hypotheses. But it is a balanced answer - half description, half application.